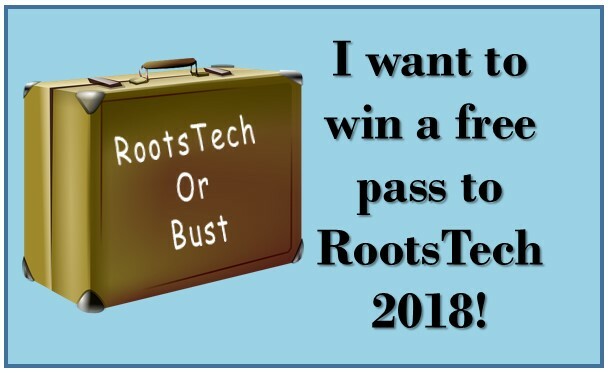 Here’s your chance for a 4-day free pass to RootsTech 2018! 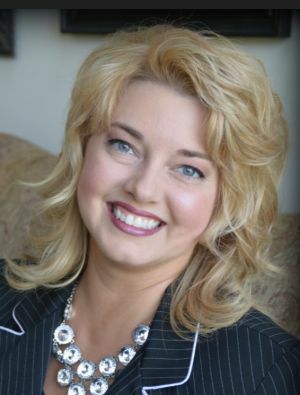 As an ambassador, I am able to give ONE free pass to a lucky Genealogy Reporter follower. Read more to find out three ways you can enter to win. Already bought your pass to RootsTech 2018? That’s okay, you can still enter our give-a-way and receive a refund for your ticket price. RootsTech is the biggest genealogy conference in the world. This year, they have extended the conference to 4 full days of learning. Held in beautiful Salt Lake City, Utah, RootsTech begins on the 28th of February and ends on the 3rd of March 2018. Keynote speakers, class titles and descriptions, and more can be found by visiting RootsTech on the web. Click here to learn all about it! What’s Included in the RootsTech Free Pass? The free pass allows you access to over 300+ class sessions, keynotes, the Expo Hall, opening and closing events, and the Innovation Showcase. There are a few things that are NOT included in your free pass. Those items are the Getting Started sessions, Family Discovery Day sessions, computer labs, the printed syllabus, workshops that cost extra, hotels, food, and any travel expenses. Contest opens today and closes on 6 November 2017 at midnight EST. Winner will be announced by 8 November 2017 here on the blog, by email, and via our social media channels. You can enter three different ways. Be sure to take advantage of each, but only once. Our winner will be chosen at random and contacted via email with instructions. Be sure to check back here and also in your junk mail folder on your email! We don’t want you to miss the big announcement. No purchase necessary and void where prohibited by law. 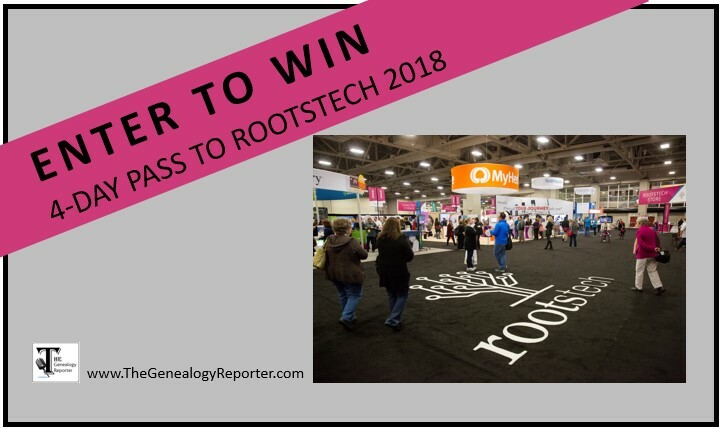 Note: If you have already pre-registered for RootsTech 2018 and you win our free pass, we will send you instructions for obtaining a full refund. So what are you waiting for! Enter to win and make 2018 the year your genealogy research takes a giant leap in the right direction! Enter to win below and best of luck!